How to best use this site? 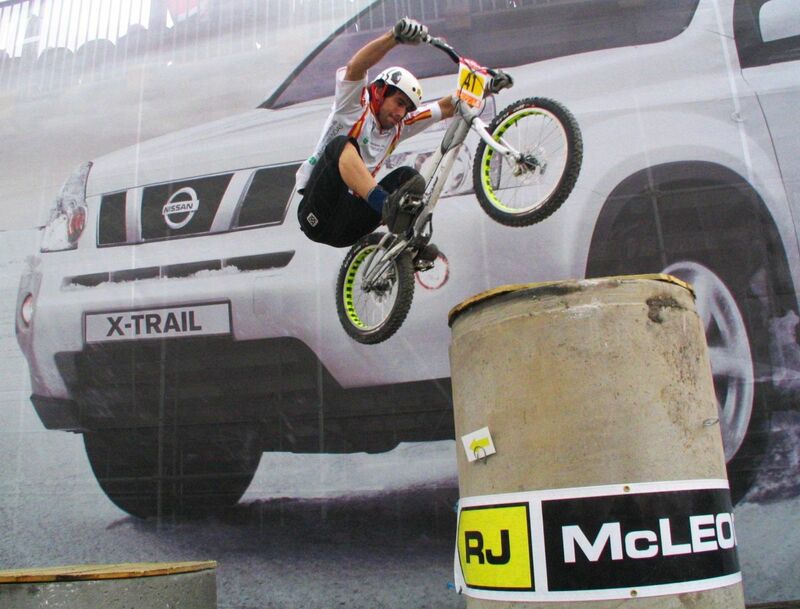 The riding techniques detailed on this site cover the most common obstacles and scenarios found in bike trials. Sometimes, a simple variation on a technique makes it look completely different and counter-intuitive to grasp. Often these variations require a different thinking, and because bike trials is also a mind game, I found it important to stress what it should feel like, and what you should be aiming at when performing the move. Each zone is organized in a natural progression, from the easiest to the more challenging techniques. While reading about the technique you want to learn, imagine yourself on the pedals and holding your bars, try to make sense of the sequence of events, and before you take the bike out for a ride, check the bullet points again. The first reading won't necessarily make a lot of sense until you actively try with a bike. Only then, you will get a feel (some response from the bike too) for a move. Each technique puts the emphasis on specific body movements and positions, like crouching, lurching, pedal and foot positions, weight shifting, braking control etc... These aspects only really become obvious once you are on the bike. So try them out, don't be put off if you fail on the first attempts, none of this stuff is trivial. 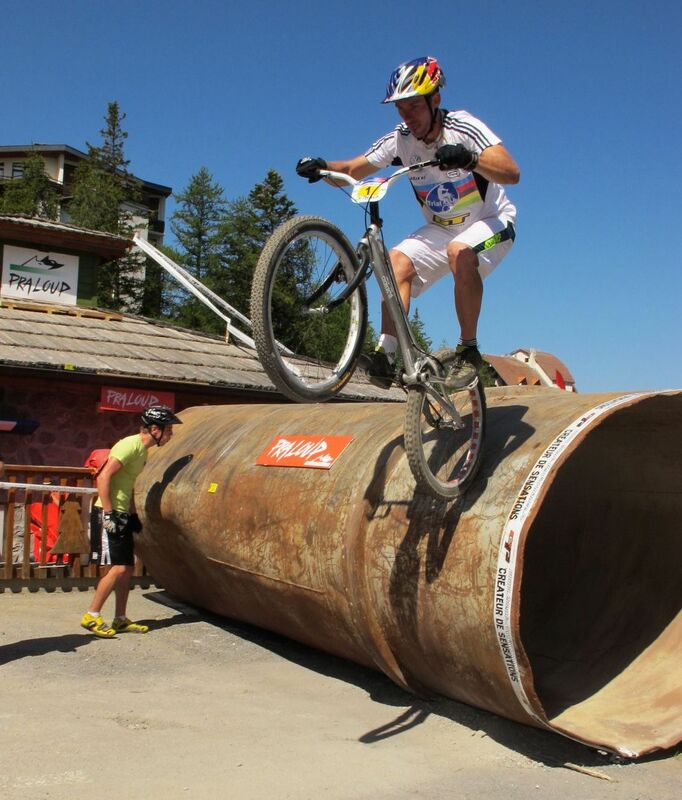 After all this is why this sport is called bike trials. Read again the pages on the technique you just practised, see if you can remember what it felt like on the bike and try to match your first real impressions with each illustrated step. This little mental gymnastic should help you focus on the particular aspects of the explanations that you may have missed out the first time (like weight shifting, crouching backwards, feet and pedals positions etc.). As you read in more details, the explanations should make a lot more sense now that you can compare the theory with what you just tried to achieve. Next time you're out riding, you'll already have a much clearer idea about that technique and you'll be able to adjust accordingly. Most techniques can be tried and practised on low obstacles, like a kerb, a small stack of pallets, a wood log, etc... No need to crash too hard, enjoy the fun. Once you'll have mastered the basics, you'll realize that the thrill of finding new lines just never stops. • Use the trackstand to look around, and concentrate for your next move. • If you are loosing balance and find yourself in trouble, bail out safely rather than crash heavily. • The first thing you want to know is how to lift the front wheel for a wheelie. • You 'll get on the front wheel by shifting your weight above the handlebars, for smooth repositionning of the rear wheel. • Try out the hops on the back wheel. • Make your first hops on the back wheel. • Then you can try a few hops on the front wheel too. • Use a combination of the front wheel and back wheel steps to turn the bike around and get ready for your next move. • Push the technique to turn 180° in one slick move. 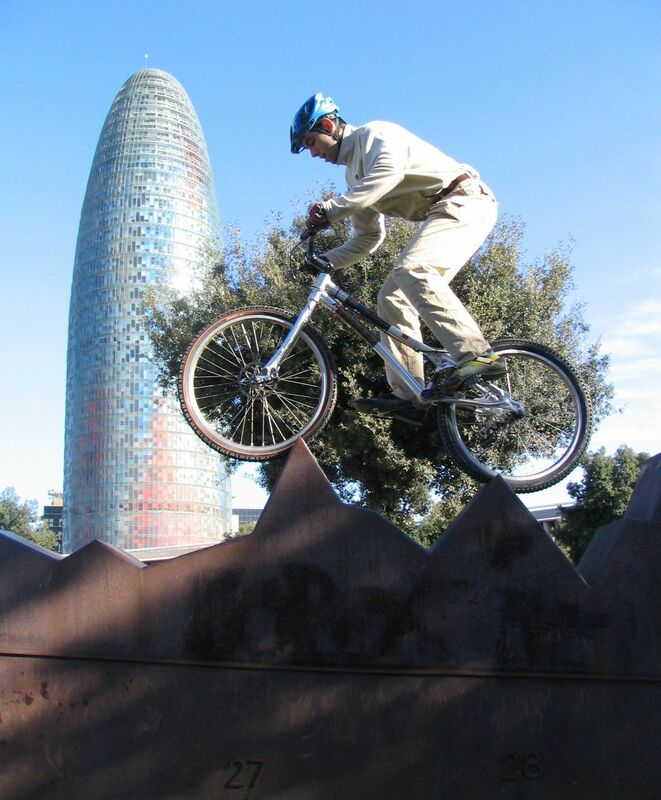 • You can hop sideways in small bounces, either to stay balanced, reposition the bike, or climb up some steps. • The wheelie is an absolute classic for kids. Learn them up a very smooth slope, by adjusting the pedal pressure. • Try out the wheel-swap, usually front-to-backwheel, and finish off your moves in style. Useful in some advanced techniques. • Check out the basic setup of most biketrial competitions, and enter one to get an idea of what the real thing is. • First, check out the basic pedal kick. • Jump over a gap from a rear wheel position with one kick. • If you have room for one pedal turn or half a pedal turn, and if the surface is smooth, you can jump over a longer distance, or climb frontaly on small stuff with a pedal up. 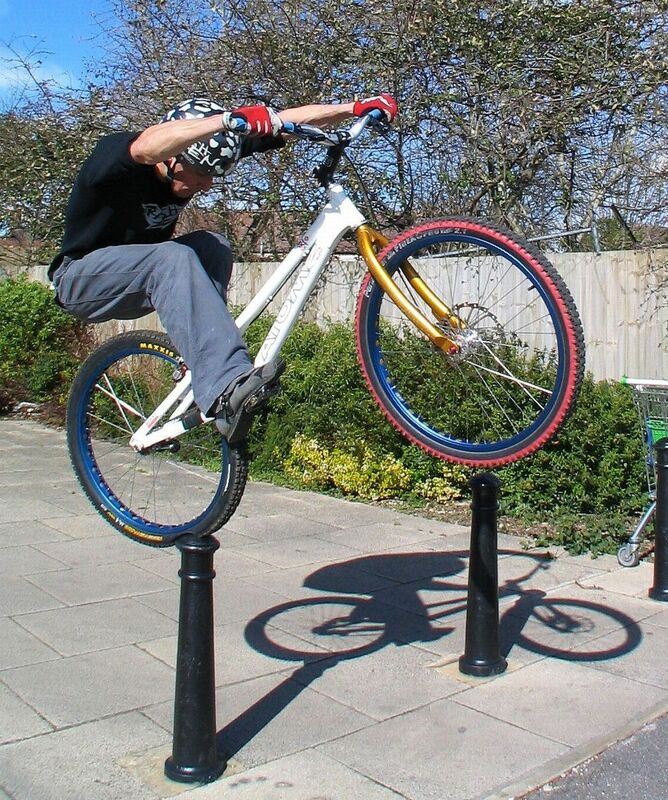 • If there is no space or you feel more comfortable balancing on the rear wheel, you can launch a rear side hop to climb sharp on street stuff or any odd rocks. • You can use the pedal kick to climb up sideways, without any run up distance starting both wheels on the ground (sort of a back-hop and pedal hop combination). • Pedal hop sideways, over a gap and land either parallel to your initial position, or turning 90° during the pedal kick, land perpendicular. • Jump over a gap or climb on stuff with a pedal kick, but land on the front wheel. • Two pedal hops in a row, to bounce the front wheel directly onto an obstacle, and follow up with a front-to-back wheel transfer. • From a static position, with "both wheels on edges", a pedal kick can bring your rear wheel right in place of the front wheel. • Use the bunny hop approach at any speed (street style). • The flat side hop brings both wheels on the same level. • The rear wheel side hop, taking off from a rear wheel position. • With a rolling pedal kick, for a smooth ascension crossing a gap. • From a static balanced position with the front wheel already onto the obstacle(wheel transfer for accurate positioning in time trials). • Picking the front wheel onto the obstacle to support a smooth wheel-swap. 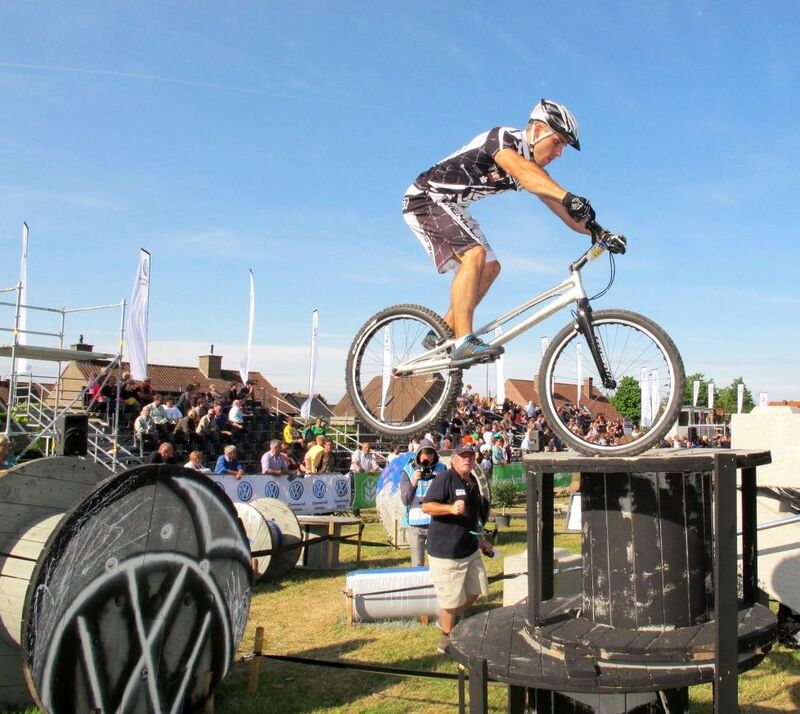 • Hooking the bash plate onto the obstacle, by landing a slow bunny hop or a pedal hop (that way you climb in two steps, but you need a good crank protection). 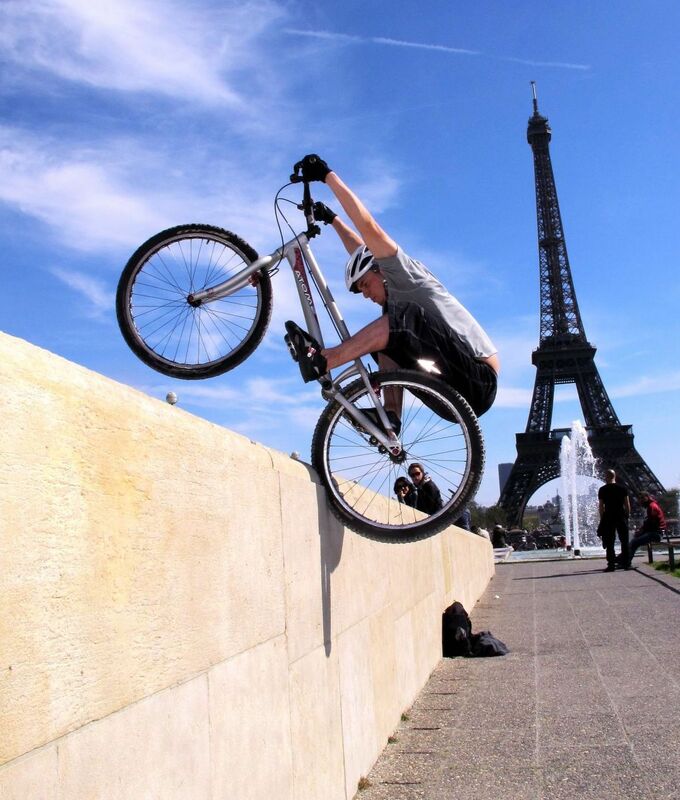 • Hooking one pedal onto a wall edge sideways, and pulling up the bike. 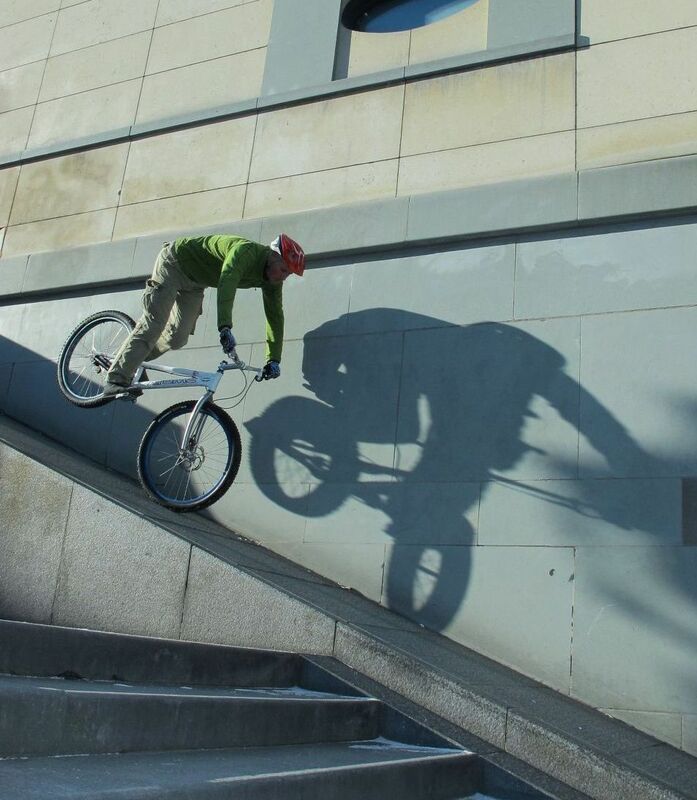 • The Wall Ride for a bit of urban fun, or for quick transition on slanted rocks. • Raw street style: jumping frontally at full speed (bunny hop). • Forward from a pedal kick or brake release (pure trials). • wheelie off a wall, with one pedal turn or in manual. • Sideways with the back wheel first (stylish and precise). • Both wheels at once sideways (if the bike is on some edges). • Riding down smoothly, if the step is not too high. • Pivoting 270° with a 90° front wheel endo. • 270° freestyle turn: back-hop flip on the rear wheel.